We offer airfare booking on all airlines in any route across the globe with instant confirmation. We have direct access to a lot of hotel accommodations real time across the globe from budget to premium with instant confirmation. Our Local Package Tours compose of roundtrip airfare and complete land arrangement. Our best selling local packages are Boracay, El Nido, Puerto Princesa, Bohol, Cebu, Davao and Coron. FIT or GIT Tour Packages in Asia, Africa, Europe, Australia and Middle East with Visa Assistance. Our best selling package tours are Hongkong, Singapore, Thailand and Malaysia. We provide LAND ARRANGEMENT service based on what the client wants. We customize. Our land arrangement consists of airport transfers, hotel accommodation with breakfast and sightseeing tours. We have a lot of Join-Tours Packages to choose from. Our join-tours usually use Toyota Grandia as van transportation and run every weekend. First come, first serve basis and subject to availability. Assist clients regarding the requirements for passport application; book appointment slots in any DFA branches available and give reservation confirmation to clients. We are accredited to different cruise companies like Star Cruise, Costa, Royal Caribbean International, Celebrity Cruises and Azamara Club Cruises. We have a lot of sightseeing tours to choose either local and international. We can assist any sightseeing tour a client prefer because we are partnered with a lot of tour operators worldwide. 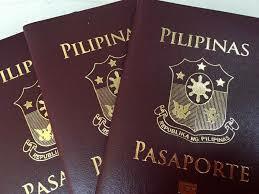 We assist clients in processing their tourist visa going to South and North Korea, Japan, China, Dubai and a lot more.